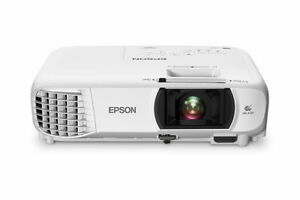 epson_outlet has no other items for sale. Sales tax may apply when shipping to: AL(5.0%), AZ(5.85%), AR(6.5%), CA(7.5%), CO(2.9%), CT*(6.35%), DC*(6.0%), FL*(6.0%), GA*(6.0%), HI*(4.0%), ID(6.0%), IL(6.25%), IN*(7.0%), IA*, KS*(6.5%), KY*(6.0%), LA*(5.0%), ME(5.5%), MD(6.0%), MA(6.25%), MI(6.0%), MN*, MS*(7.0%), MO(4.725%), NE*(5.5%), NV(6.85%), NJ*(6.63%), NM*(5.5%), NY*(4.0%), NC*(6.75%), ND*(5.0%), OH*(6.5%), OK(4.5%), PA*(6.0%), PR(10.5%), RI*(7.0%), SC*(6.0%), SD*(4.5%), TN*(8.5%), TX*(6.25%), UT(5.95%), VT*(6.0%), VA(5.3%), WA*, WV*(6.0%), WI*(5.0%), WY(4.0%). We accept PayPal only. PayPal permits customers to pay via major credit card and via electronic check (e-checks). No other form of payment is accepted. Excellent seller! Product as described and arrived quickly! Great image for a modest price. We purchased this for Church, it did not disappoint.